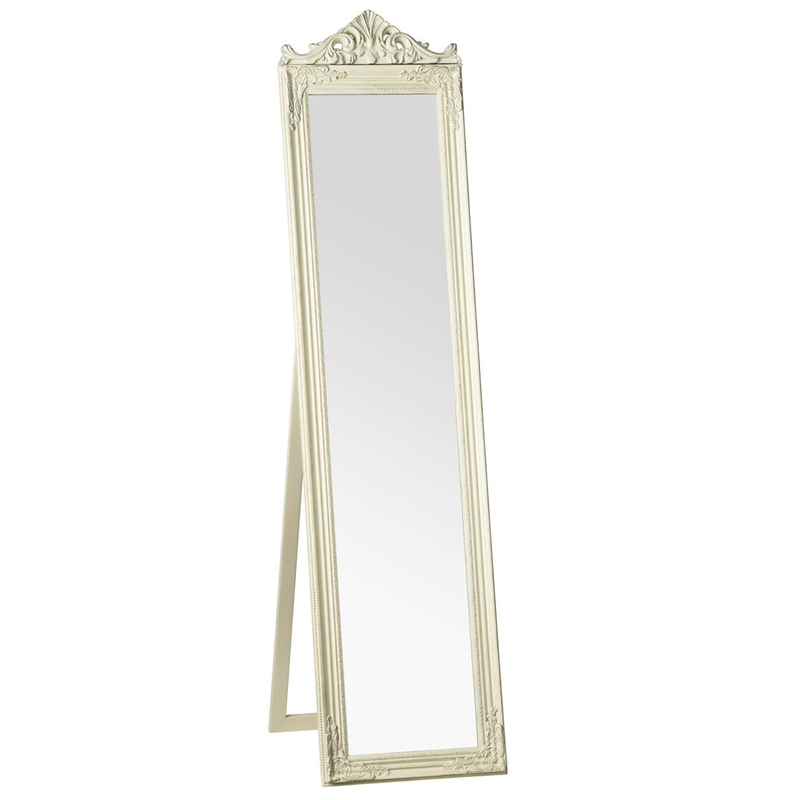 We are very proud to introduce this stunning Cream Boudoir Floor Standing Mirror. This mirror has a gorgeous design which looks very sleek as well as very elegant. The stand on the back allows you to place the mirror at an angle that best suits you, whilst a chain helps to keep it sturdy and stable.